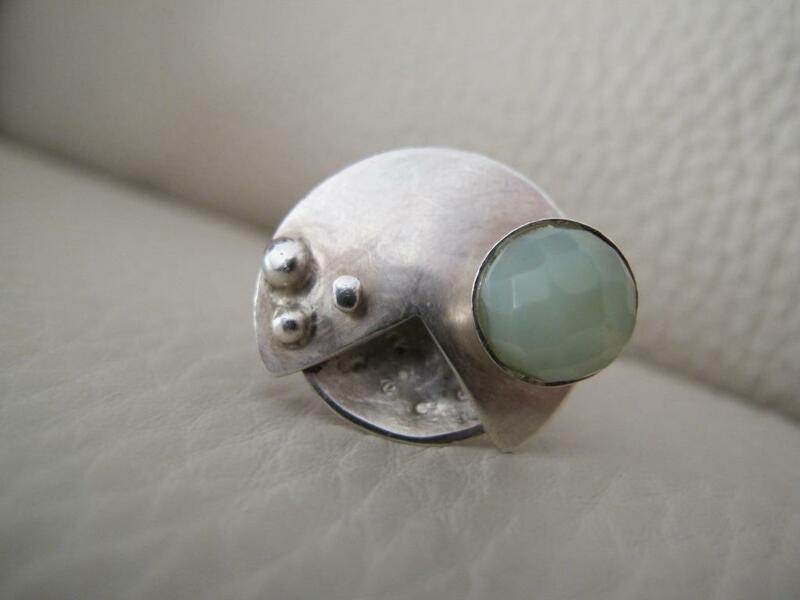 handmade sterling silver ring with new jade bead. 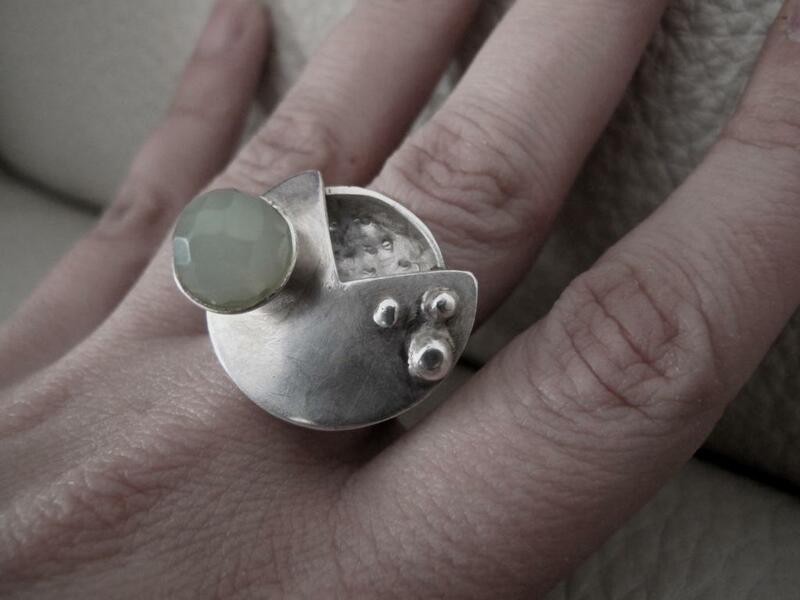 When I start creating a ring like this one I’m never quite sure what the outcome will be. Top of the ring is made of 2 soldered parts (0,5 mm thin) with „black hole“ between. Mother Earth is jade, pale green, placed on half sphere pedestal resisting and still moving… top surface is mate.